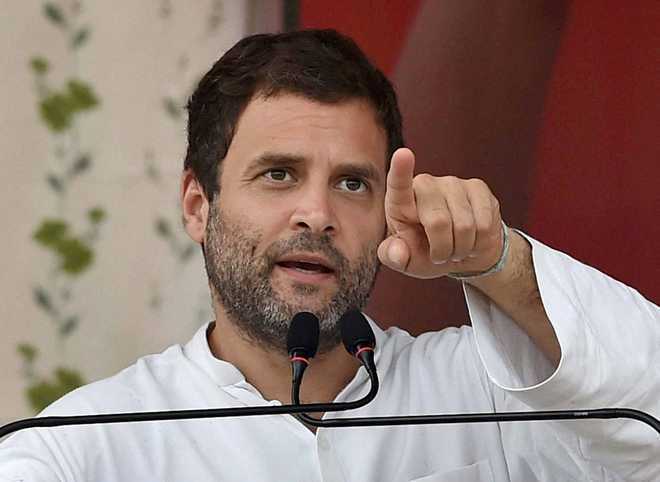 Congress president Rahul Gandhi on Friday took a swipe at Prime Minister Narendra Modi, accusing him of conning people after promising to generate jobs and bring back black money, but helping his "suited-booted" friends instead. Citing a news report claiming that two years after demonetisation unemployment has risen, Gandhi tweeted in Hindi, "2014 - Con trick 1: Make me prime minister, I will provide two crore jobs. 2016 - Con trick 2: Support me in noteban, I will bring back black money. 2018 - Reality: Will fly suit-boot friends in Rafale and shatter dreams of youths."